Writer Ivan Brandon (Wolverine, Men of War) and artist Nic Klein (Captain America,Thor) are on fire with their dark and moody new series DRIFTER which puts a fresh and layered spin on sci-fi. Best described as an ominous marriage of Unforgiven andDune, DRIFTER #1 is slated for a second printing in order to meet customer demand. "I can't even express how blown away we are by the reaction to our crazy book,” said Brandon. “I've been walking around in a daze like a lovesick 10-year-old. We feel so grateful and lucky to have found such an amazing readership." DRIFTER #1 is also currently available digitally on the Image Comics website (imagecomics.com) and the official Image Comics iOS app, as well as on Comixology on the web (comixology.com), iOS, Android, and Google Play. 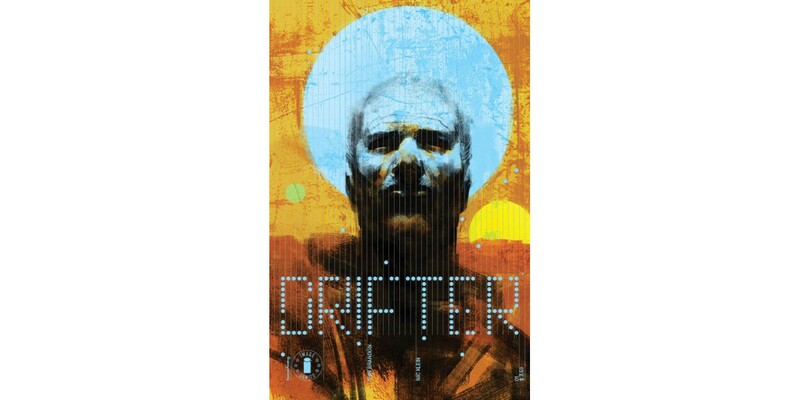 The second printing of DRIFTER #1 (Diamond Code OCT148057) will release on 12/10. DRIFTER #2 by Klein is available in stores on 12/17 and can be pre-ordered with Diamond Code OCT140736. Cover B by Becky Cloonan can be pre-ordered with Diamond Code OCT140737.